There were only a handful of these elegantly dressed women at the Muang Hum market, and I couldn’t identify them from the books in Sapa on minority groups. I eventually found out who they were at the Museum of Ethnology in Hanoi. 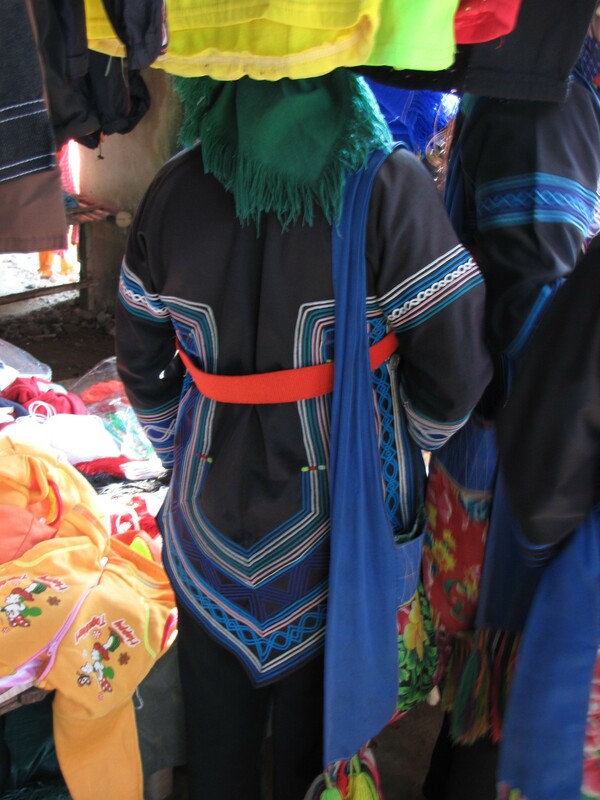 This entry was posted in Black Hani and tagged Black Hani, costume, Muang Hum, Textile, Vietnam by Wendy Garrity. Bookmark the permalink.